In memory of their son Michael Brown – Lesley (Lezley) McSpadden and step-dad Louis Head incited a riot in Ferguson after a grand jury refused to indict Officer Darren Wilson in November 2014. The reports of Michael Brown being an innocent bystander with his hands up gunned down by a racist cop were all media lies. And dozens of Ferguson businesses were burnt to the ground. In October of 2014 Michael Brown’s mother, grandmother and auntie brawled on the corner of Canfield and West Florissant over the rights to T-shirt sales. Brown’s mother Leslie McSpadden reportedly assaulted and robbed grandmother Pearlie Gordon of $1,400. 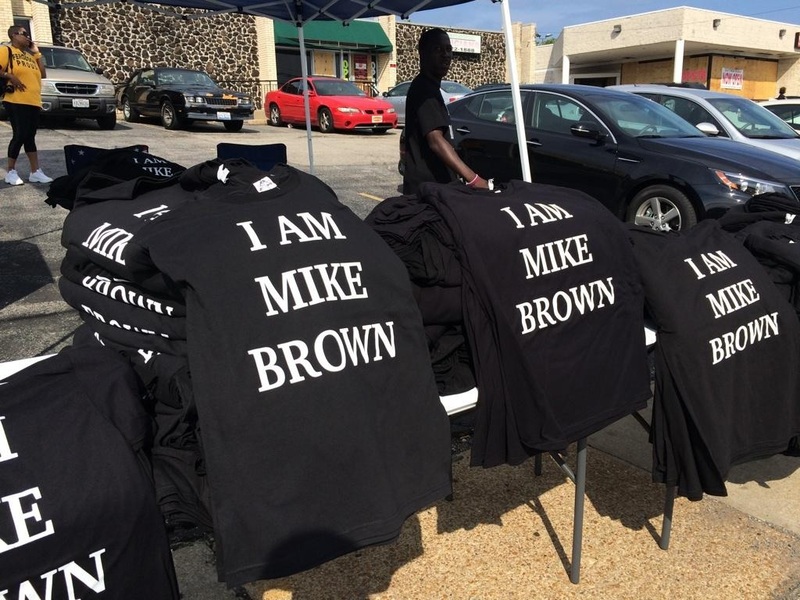 T-shirts for sale at Michael Brown’s funeral. Michael Brown’s parents were awarded $1.5 million by a sympathetic court after their son robbed a store, assaulted the store’s minority owner, attacked a cop, grabbed for his gun, charged the cop and was shot dead. 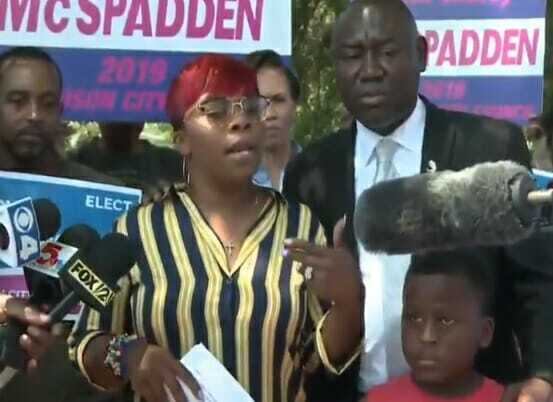 On Friday Lezley McSpadden announced she is running for city council in Ferguson.